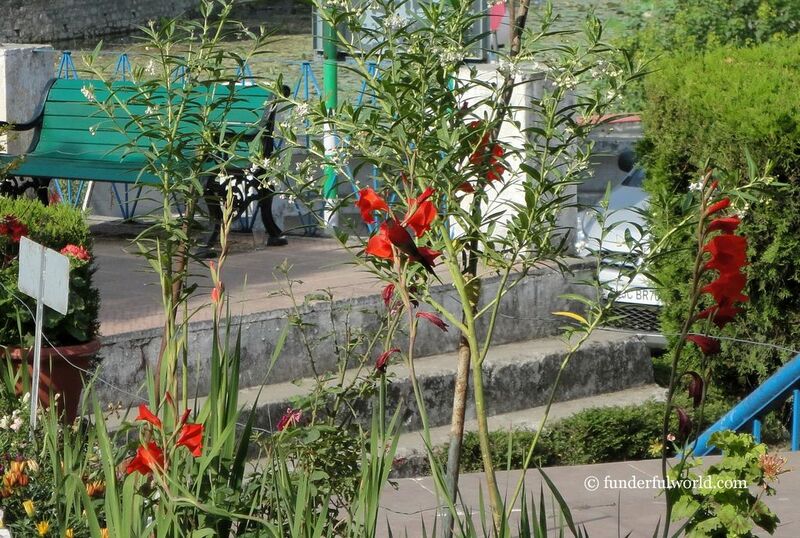 A crimson sunbird perched among red gladioli. If that isn’t camouflage, what is? Find the bird! Naukuchiatal, Uttarakhand, India. Beyond the garden adorned with flowers of various hues lies a calm lake. Surrounded by gently sloping hills. A man rows a small boat across, creating beautiful patterns of ripples. 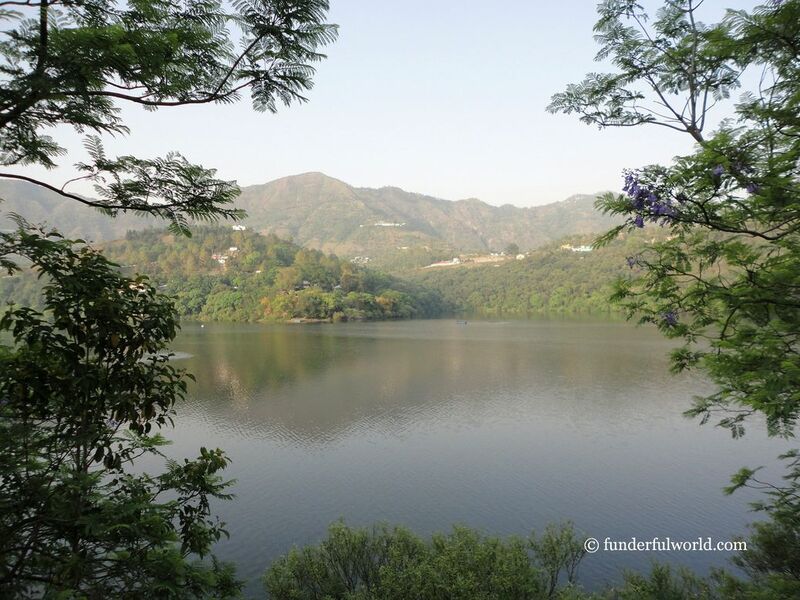 Welcome to Naukuchiatal, the lake with nine corners. A garden and a lake beyond. Naukuchiatal, Uttarakhand, India. 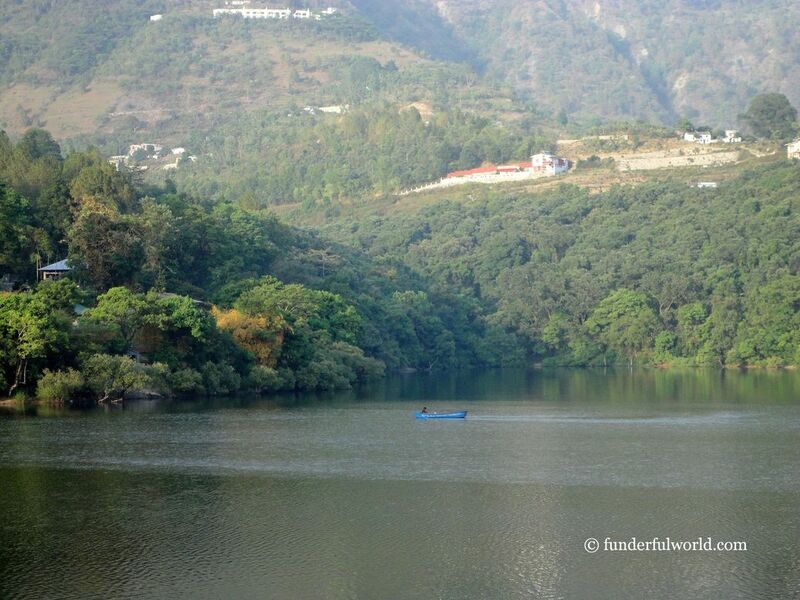 Naukuchiatal is a brief stopover from Nainital for many tourists. 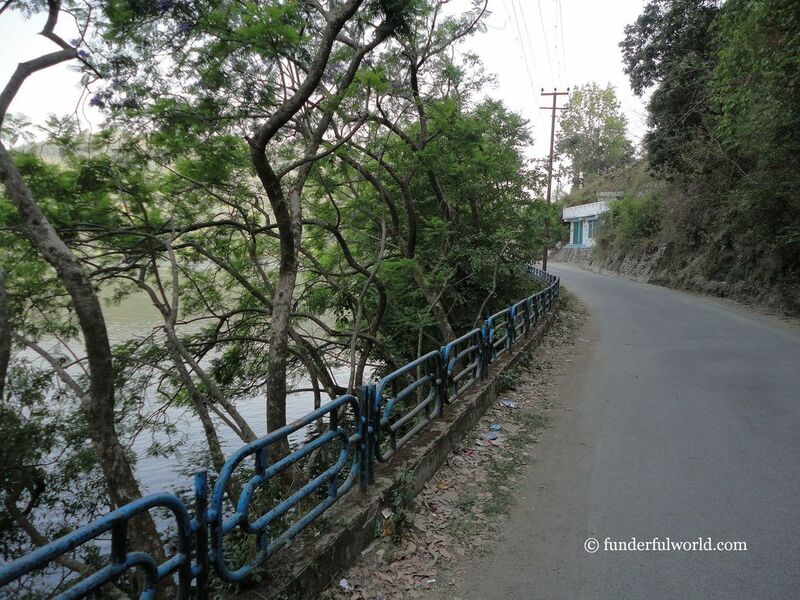 At the end of our summer vacation in Uttarakhand, we chose to spend a couple of days in this small town. It turned out to be the perfect place to unwind and reflect on our wonderful experiences in Nainital, Almora, Binsar, Ranikhet, and Mukteshwar. 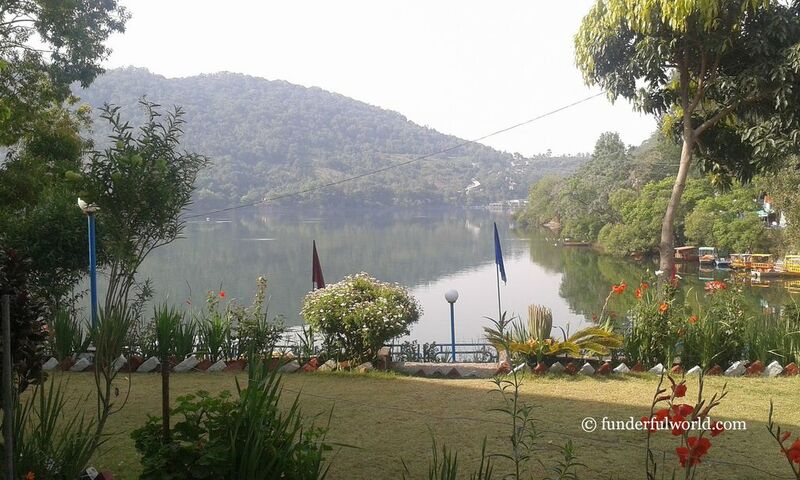 KMVN’s Tourist Rest House at Naukuchiatal offers magnificent views of the lake and its surroundings. Junior was enthusiastic about playing outside, while B and I tried to outdo each other at bird-watching. The sight of the crimson sunbird had us squealing and shrieking with joy; Junior was a bit perplexed, but he soon joined the chorus. 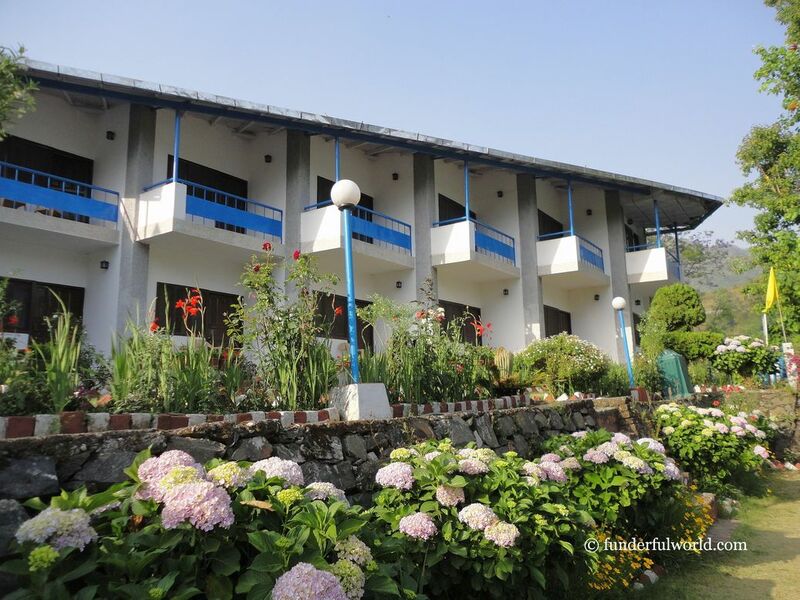 KMVN’s Tourist Rest House, Naukuchiatal. Uttarakhand, India. Later, we walked on the path around the lake, counting each corner as we passed it. Take me along. Naukuchiatal, Uttarakhand, India. I could sit outdoors all day, with a book or without, with a camera or without, with company or without. Naukuchiatal, Uttarakhand, India. Counting every corner. Naukuchiatal, Uttarakhand, India. 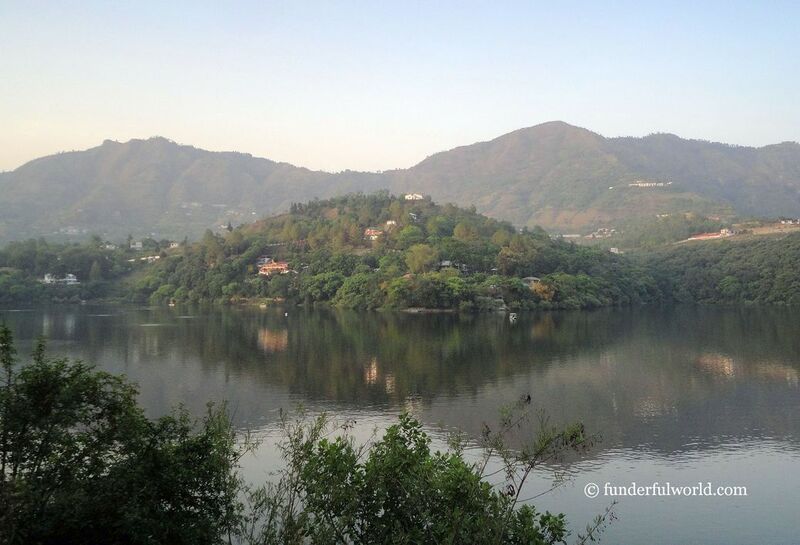 On the last leg of your Uttarakhand tour? Spend a day (or two) at Naukuchiatal. Away from the noise, away from the crowds, away from popular tourist attractions. In tranquility, amid nature, on cloud nine.